Axing the automobile is a popular trend in Europe of late. In 2003, London introduced the congestion charge, Helsinki wants to render cars obsolete, and last year Oslo announced plans for its city center to go car-free by 2019. The city of Lyon, meanwhile, has championed the "new mobility" as prescribed by politician Gilles Vesco, something which has seen the number of cars entering the city fall by 20 percent in the last ten years. Now Barcelona, under its new mobility plan and armed with a $11.2 million budget, is aiming to curtail car use by 21 percent within two years. The scheme seeks to turn streets into “citizen spaces” by liberating 60 percent of roads dominated by cars. 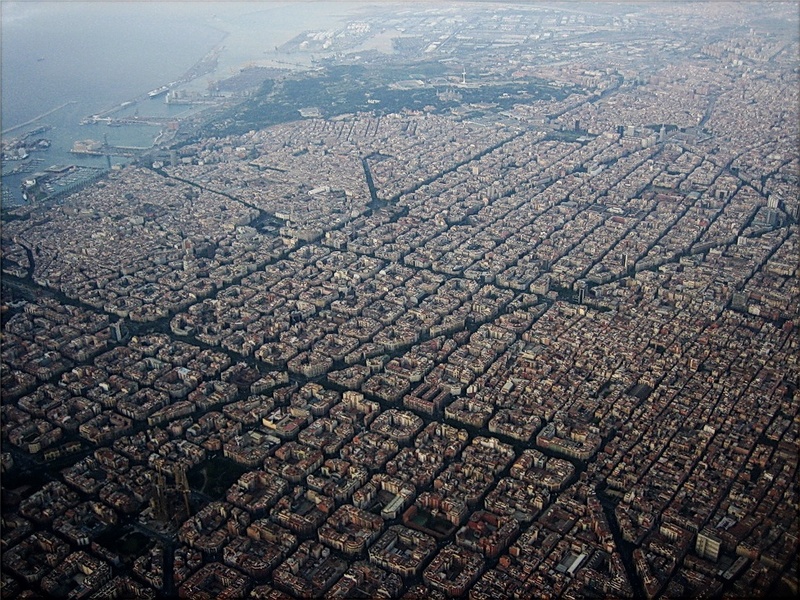 Famous for its grid system planned by Spanish civil engineer Ildefonso Cerdá in the 19th Century, the district of Eixample will be the first area subject to the new plans. Here, superilles (superblocks) will span nine actual blocks (three by three) and restrict vehicles entering unless owned by residents or businesses within. Once inside vehicles will only be allowed to travel 6mph compared to the city standard of 30mph (keeping to the apparent rule of fifths). The superilles will also incorporate changes in other aspects of traffic circulation including new road signage and bus routes. Other methods of transport are being encouraged, including public transport and cycling (186 miles of new cycle lanes are also being put down). According to Salvador Rueda, director of the city’s urban ecology agency, superilles are set to encompass between 5,000 and 6,000 residents. This is a figure which he says is “the same as many small towns. Everything we need to consider to face the challenges of this turn of a century—construction, economy, water, residues, metabolisms, social cohesion—should be captured in these superblocks.” In light of recent studies, air pollution has resulted in 3,500 premature deaths in the city's metropolitan area, a figure that equates to 0.1 percent of the population. Barcelona's council highlights traffic accidents, increasing levels of obesity, and a lack of green spaces as other factors for the plan's enactment. Just last year, there 9,095 traffic incidents which led to 27 fatalities. A reported one in five children in the city are either overweight or on the way to being so. Meanwhile, greenery in Barcelona is also hard to come by, with just 71 square feet of green space per resident. That's below the World Health Organization's recommendation of 97 square feet, London's 290 square feet, and Stockholm's staggering 942 square feet per person. “Anyone will be less than 300 meters from a bus stop at any time—and average waiting times will be of five minutes anywhere in the city [against the current average of 14],” Rueda says. The system would also be "an equitable network in which one could go from any point A to point B with just one transfer in 95% of the cases. Like in a game of Battleship”. “We want these public spaces to be areas where one can exercise all citizen rights: exchange, expression and participation, culture and knowledge, the right to leisure,” he added. Norway currently boasts three World Rally Championship drivers (second only to France), all of considerable pedigree, yet its capital city of Oslo is planning to remove cars for good. Along with the proposal to ban cars is the plan to build 37 miles worth of bike lanes by 2019 and a new system for handicap bus services and delivery vehicles. In a bid to reduce pollution, Reuters reported, politicians in Oslo said they want to be the first European capital to implement a comprehensive permanent ban on cars. With a population just under 650,000, Oslo has around 350,000 cars with most owners living outside the center but inside the city's boundaries. Emulating Paris' one day-a-year car ban, Oslo is bucking a trend many fellow European cities are following. Currently Brussels is trialling an eight month traffic circulation program involving the pedestrianization of its boulevards meanwhile the old cities of both Split and Dubrovnik in Croatia are completely car free. 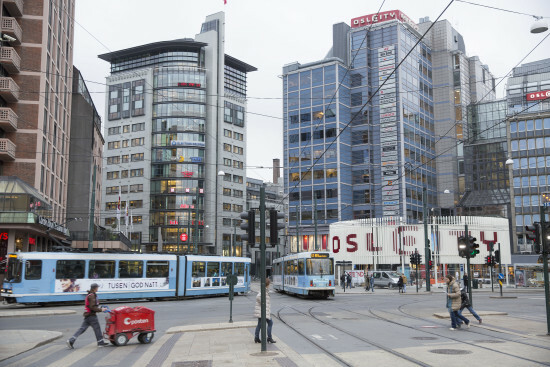 Shop owners in Oslo, though, fear the plans will hurt business, though it is worthwhile noting that the city is not banning all vehicles, so delivery trucks and the like will be allowed. Lan Marie Nguyen Berg, lead negotiator for the Green Party in Oslo has said "We want to make it better for pedestrians, cyclists. 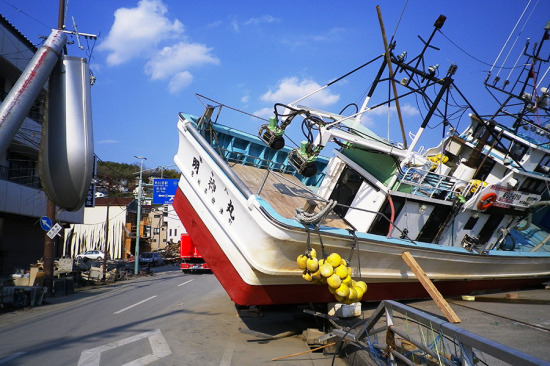 It will be better for shops and everyone." The plan also outlines the need for significant investment in infrastructure, most notably in public transportation that will have to support the growing number of users. Trials will be run after authorities investigate precedents in other european cities where plans have so far been a success. Aside from a marked reduction in pollution, the change will also make the city a much more appealing place for pedestrians and cyclists, something which the authorities are not alone in trying. According to Gemini, researchers from Scandinavian group SINTEF claim that much needs to be done about Norway's noise problem which is responsible for 150 deaths a year. 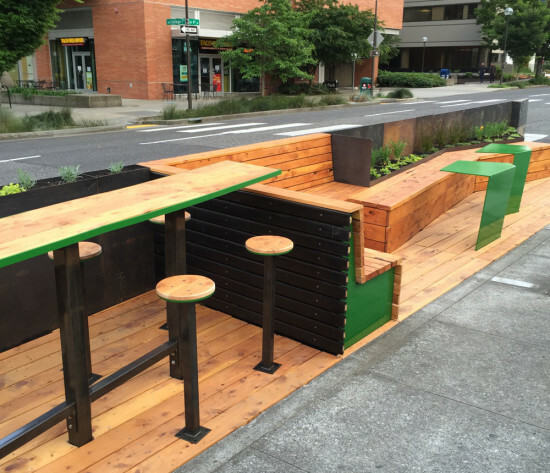 Word is out that downtown Portland, Oregon, has its first parklet. Designed by a team of Portland State University architecture students and led by assistant architecture professor B. D. Wortham-Galvin, the 41-foot-long public park covers two parking spaces and opened in June on Southwest 4th Avenue. https://youtu.be/y3s16HcyhjA Made out of juniper, reclaimed materials, and powder-coated steel, the small space provides ample seating and jaunty bent-metal tables for patrons of nearby eateries and food trucks—or any other member of the public who needs a place to sit a spell. The project is a collaboration between SoMa EcoDistrict, PSU School of Architecture, Sustainability Neighborhoods Initiative, and the Institute for Sustainable Solutions. While it is the neighborhood's first public parklet, it’s not, however, the city’s first parklet. 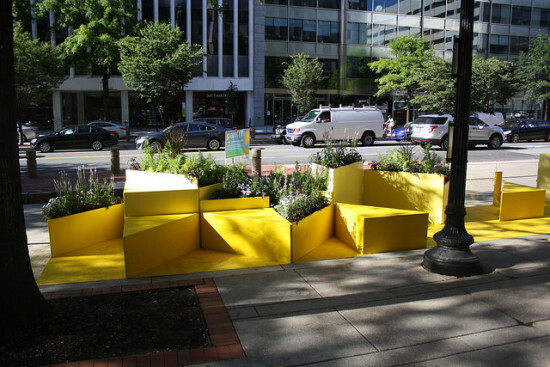 In 2012, the Portland Bureau of Transportation, following the models of San Francisco and New York, embarked on the pilot Street Seats program that allows businesses or non-profit organizations to convert on-street parking into a public micro-park. The parklet offers important transparency into the time and labor that is required for tactical urbanism projects to go from design to permitting to realization. The PSU students began design development as part of a Fall 2013 studio, the city permitted the structure in late 2014, and the ribbon cutting was on June 1. Portland Monthly reported that the design-build project required 1,650 hours of work over the course of 18 months. The team raised more that $15,000 in crowd-funding and in-kind donations to offset the cost of construction and lost city revenue from paid parking. Covering that revenue is pivotal to the parklet’s lifespan and ultimate impact on the urban fabric. “When people ask if it is permanent, we have fundraised to build it and to pay the lost revenue for the next year,” Wortham-Galvin told the PSU Vanguard. “Whether it stays or not has nothing to do with permanence, but obviously at some point someone will have to take the initiative to keep paying the lost revenue for the city.” She told AN that the next phase of the project is just beginning: a post-occupancy study conducted by the students. They're interested in how the materials hold up and how the parklet is used during the whole day, not just the lunchtime rush. 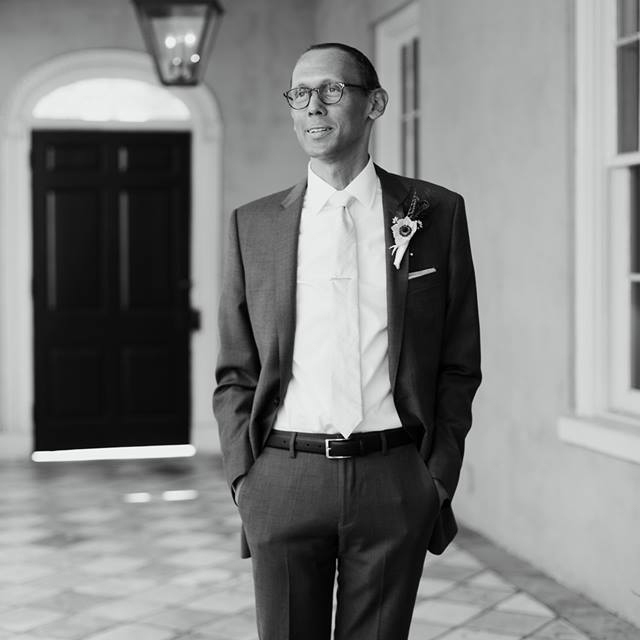 Wortham-Galvin suggested that an important metric is increased public will, or how one public amenity creates demand for more. The John S. and James L. Knight Foundation announced Tuesday the winners of the first Knight Cities Challenge, awarding a total of $5 million to 32 projects that include “consulates” for local culture in Detroit, Philadelphia, and New Orleans, and “a social kitchen” in downtown Gary, Indiana. Jurors reviewed more than 7,000 applications from the 26 eligible communities, which are all cities where the Knight brothers owned newspapers. A quick sampling of the winners includes: a plan to increase year-round outdoor activities in St. Paul, Minnesota; new pedestrian and bicycle paths in Columbus, Georgia; pop-up storefronts in San Diego's San Pedro Square market; a vacant property turned AirBnb-style hostel to benefit the Bhutanese community of Akron, Ohio; and a "science barge" in Miami to increase climate change awareness. The Knight Foundation will open up a call for a more entries in October. You can scroll the full list of winners here on Knight's site, or on this page after the jump. Knight Cities Challenge from Knight Foundation on Vimeo. 2015 Knight Cities Challenge Winners Akron, Ohio Better Block International Hostel on AirBnB, $155,000 by Team Better Block (Submitted by Jason Roberts): Turning a vacant property into an AirBnB hostel and cultural hub in Akron’s North Hill to tap the entrepreneurial potential of the neighborhood’s growing Bhutanese population. Unbox Akron, $52,168 (Submitted by Chris Horne): Fostering a stronger connection to the city by creating a subscription service that celebrates Akron with a monthly selection of local goods and experiences delivered in a box. Bradenton, Fla. ReuseReCONNECT, $90,140 by Realize Bradenton (Submitted by Morgan Bettes): Engaging millennials in Bradenton by experimenting with pop-up events that temporarily transform outdoor spaces into places for conversations on local topics. 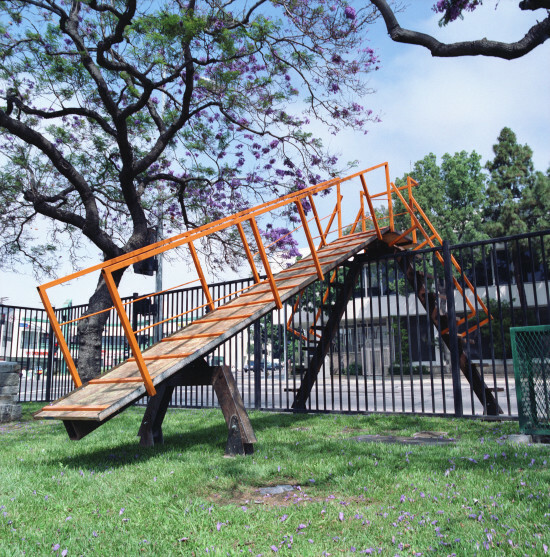 Charlotte, N.C. No Barriers Project, $67,100 (Submitted by Sarah Hazel): Bringing two diverse neighborhoods together in a public park that sits on their border by creating a new common space that uses light, sound and play to stimulate conversation. “Porch” Swings in Public Places, $28,000 (Submitted by Tom Warshauer): Fostering conversation among strangers by installing Charlotte’s signature porch swings in public spaces. Take Ten Initiative, $74,000 (Submitted by Alyssa Dodd): Challenging municipal workers to take 10 minutes each week to connect with a city resident and report on their thoughts and ideas. Columbus, Ga. Minimum Grid: Maximum Impact, $199,195 by MidTown Inc. (Submitted by Anne King): Establishing a comprehensive network of bicycle and pedestrian connections among the entertainment and business district of Uptown and the 24 diverse neighborhoods of MidTown. Detroit RE:Brand Detroit: Innovating Detroit Neighborhoods, $164,810 by Brand Camp University (Submitted by Hajj Flemings): Changing the narrative of underserved neighborhoods by developing compelling branding and digital presences for neighborhood businesses that better tell their stories. Brick + Beam Detroit, $87,424 by Michigan Historic Preservation Network (Submitted by Emilie Evans): Creating a new community of Detroit rehabbers who will work together to combat blight, reactivate vacant buildings and improve their city. The Buzz, $84,055 by Detroit Future City (Submitted by Erin Kelly): Pairing barbers with landscape contractors to transform overgrown vacant lots through facilitated design workshops that teach mowing and pattern-making techniques. Detroit Homecoming, $100,000 by Crain’s Detroit Business (Submitted by Eric Cedo): Engaging Detroit expats with a new digital community designed to keep them connected to Detroit and its opportunities. LIVE Detroit, $40,000 by LIVE Detroit (Submitted by Rachel Perschetz): Attracting and retaining residents by creating a center for information about Detroit neighborhoods and city life that showcases the best of Detroit. Gary, Ind. ArtHouse: a Social Kitchen, $650,000 by Rebuild Foundation (submitted by Lori Berko): Repurposing a vacant space in downtown Gary as a culinary incubator and café designed to reinvigorate downtown while creating jobs and opportunities for residents. Lexington, Ky. Northside Common Market, $550,000 by North Limestone Community Development Corp. (Submitted by Richard Young): Repurposing a vacant bus station into a market for locally grown food and locally made goods and a creative business incubator that will serve as a neighborhood hub. Macon, Ga. Operation Export Macon, $75,000 by College Hill Alliance (Submitted by Joshua Lovett): Fostering city pride and helping attract newcomers to Macon by sending one man in a roaming trailer to nearby cities, to showcase the city’s best food, goods and experiences. Macon Civic Spaces, $124,300 (submitted by Geoffrey Boyd): Creating an umbrella organization to bring together individual park volunteer groups to create a network of advocates, interested in improving and maintaining local parks as vibrant community engagement venues. Miami The Science Barge, $298,633 by CappSci (Submitted by Nathalie Manzano-Smith): Creating a public focal point for Miami’s climate issues with the Science Barge, a floating, urban sustainable farm and environmental education center powered by renewable energy. Multiple communities The Urban “Consulate,” $150,000 (Submitted by Claire Nelson): Promoting cross-city cultural and civic exchange by setting up a network of new “consulates” initially located in Detroit, Philadelphia and New Orleans that offer events and an entrée into local culture. The Swings: An Exercise in Musical Cooperation, $325,000 by DailyTousLesJours (Submitted by Mouna Andraos): Bringing people together to connect and engage in four Knight resident cities (Charlotte, Macon, Philadelphia and San Jose) with a musical swings installation that plays music when used and more complex melodies when people collaborate to use them together. Philadelphia The Pop-Up Pool Project, $297,000 by Group Melvin Design (Submitted by Benjamin Bryant): Introducing fun, easy solutions at city pools, which will be designed to make them more vibrant places to meet and interact with neighbors and friends. South Philly's Stoop, $146,960 by Scout (Submitted by Lindsey Scannapieco): Transforming the vacant space surrounding the recently closed, historic Edward Bok school in South Philadelphia into a new community living room that brings community members together, encourages connections and engages people with neighborhood history. Urban Arboreta, $65,000 by City Parks Association of Philadelphia (Submitted by Timothy Baird): Transforming vacant land in Philadelphia into urban forests that produce trees to be replanted on city streets and in parks. Next Stop: Democracy! The Voting Signage Project, $166,394 by Here’s My Chance (Submitted by Lansie Sylvia): Making voting in local elections more enticing by creating new types of signs at polling places and commissioning artists to perform site-specific pieces on election days. Neighborhood Conservation Kit, $20,000 by Central Roxborough Civic Association (Submitted by Sandy Sorlien): Putting the future of communities in residents’ hands with a toolkit they can use to create a special zoning designation called a Neighborhood Conservation Overlay. 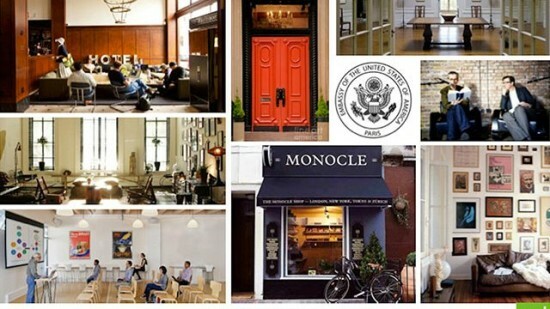 Philadelphia Immigrant Innovation Hub, $261,500 by Mt. Airy USA (Submitted by Anuj Gupta): Harnessing the talent and energy of immigrants to revitalize distressed neighborhoods by providing centers that would offer immigrant entrepreneurs low-cost space, language assistance, workshops and trainings, and access to traditional and non-traditional sources of capital. DIG Philly by The Big SandBox Inc., $149,050 (Submitted by Jacques Gaffigan): Bringing together members of the community from diverse ages, ethnic and economic groups to create a movement to reinvent schoolyards across the city using traditional grassroots outreach and new digital engagement tools. San Jose, Calif. Houslets, $40,000 by Houslets (Submitted by Tim McCormick): Prototyping and deploying low-cost, modular housing and workspace units to test a new model for temporary and affordable housing for San Jose’s fast-growing population. San Pedro Squared, $139,000 by San Jose Downtown Association (Submitted by Scott Knies): Testing a new method of economic revival focused on bringing activity to the streets by installing pop-up retail units on the ground floor of a parking structure opposite the lively San Pedro Square market. St Paul, Minn. 4 Play, $117,000 by Greater MSP (Submitted by Peter Frosch): Changing the way people perceive the city and its climate by inviting all residents to come together for an outdoor activity—whether it’s ice fishing or summer canoeing—once per season. 8-80 Vitality Fellow, $175,000 by Mayor’s Office, City of St. Paul (Submitted by Mayor Chris Coleman): Promoting a more livable St. Paul by embedding a fellow in the mayor’s office who will work across departments to manage the $42 million committed to the mayor’s 8-80 Vitality Fund, which aims to ensure that walking, biking and public spaces are a priority in all city projects. MN Nice Breakers, $37,960 (Submitted by Jun-Li Wang): Making the city more welcoming by using existing events to help newcomers quickly establish social networks that attach them to the city. Rolling Out the Warm Welcome Hat, $67,288 (Submitted by Jun-Li Wang): Welcoming newcomers by having city leaders hold monthly ceremonies to give them an official welcome gift, a warm hat for Minnesota winters. 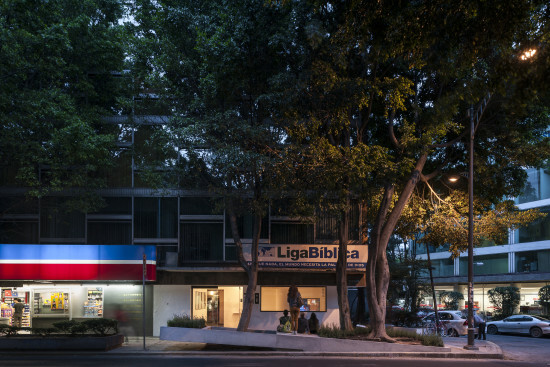 Uneven Growth: Tactical Urbanisms for Expanding Megacities MoMA 11 West 53rd Street, New York, New York November 22–May 10, 2015 The population of the planet is growing quickly and an increasing number of people are living in urban areas. The resultant demographic changes, including an increase in urban poverty, pose challenges and opportunities for architects and planners in the decades ahead. How to address such a complex and global change is a question explored in the MoMA exhibition Uneven Growth: Tactical Urbanisms for Expanding Megacities. 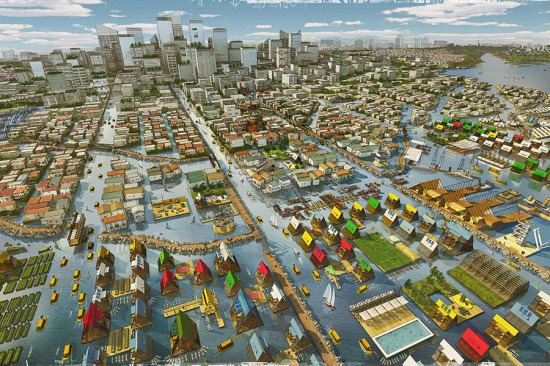 The exhibit displays proposals from six interdisciplinary teams of practitioners and researchers who studied how tactical urbanism can be deployed in New York, Rio de Janeiro, Mumbai, Lagos, Istanbul, and Hong Kong to create more vibrant and equitable cities. The proposals challenge current assumptions about the relationships between formal and informal, bottom-up and top-down urban development, and address potential changes in the roles architects and urban designers might assume. The emergent forms of tactical urbanism represented here are direct responses to alterations in the nature of public space, housing, mobility, spatial justice, environmental conditions, and other major issues in near-future urban contexts.